We invite you to register for our upcoming accredited tier training courses in Las Vegas, Nevada in September, 2017. 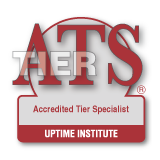 Targets the management team directly responsible for data center uptime focused on enhanced understanding of the Tier classification system, facility infrastructure and training and staffing best-practices. Unable to attend this session? Visit the Uptime Institute Course Calendar to learn about other courses coming up in your area.